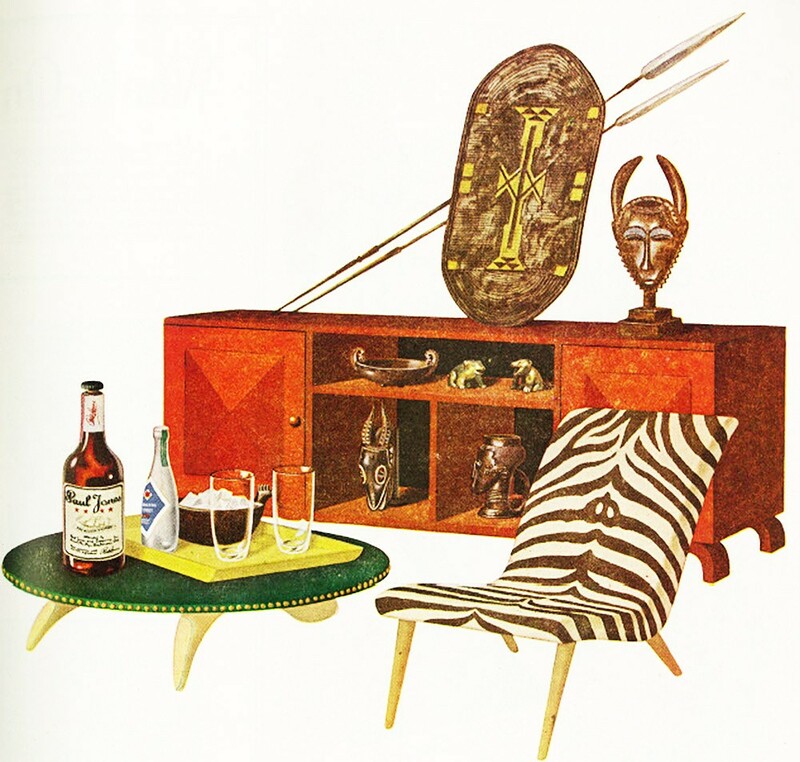 To paraphrase our friend Koop Kooper, the Lounge Revival life isn’t historical reenactment. And that’s a good thing. Modern life has plenty of advantages and there’s no reason to eschew them just because they didn’t exist way back when. As much as we complain about how we annoy each other with our mobile devices, few of us are ready to give them up just to live the “authentic” Atomic Age life. Besides, in an ironic way, modern tech has made the vintage life easier. Fulfilling the space-age promise of better living through technology comes the Martin Doudoroff / MixologyTech.com family of iOS apps; In particular, Lounge Revivalists will want Beachbum Berry’s Total Tiki and Martin’s New and Improved Index of Cocktails and Mixed Drinks From The First Golden Age Of The American Bar or Martin’s Index for short. All MixologyTech apps are curated reference apps. Each one focuses on a different aspect of the cocktail experience — a restaurant, an era, or a drink style. Total Tiki explores tropical drinks from classic tiki lounges as found in the books of Jeff “Beachbum” Berry. And Martin’s Index covers vintage cocktails from the 1850s to the 1930s utilizing well-respected sources such as Harry Craddock’s Savoy Cocktail Book. MixologyTech apps are fully searchable as well as browsable by decade, drink base (whisky, rum, etc), drink type (fizzes, toddies, etc), or provenance. In the case of Beachbum Berry’s Total Tiki, the drinks are also browsable by the tiki lounges in which the drinks originally appeared. Unlike other cocktail apps that just dump recipes into an interface, MixologyTech apps go further. There’s serious research and scholarship here. Want to know more about the Astor cocktail ? Check the recipe. Need to know the relationship between gin and genever ? Check the ingredient index. Or tap that ingredient in a recipe: it’ll tell you and provide specific examples. As for the interfaces themselves, all MixologyTech apps are near-identical. If you’ve learned one, you’ve learned them all. The real boon here is that you can set up your own bar inventory simply by flipping switches in an app’s ingredients list. Once you’ve spent a minute or two doing that, the app can then show you which drinks you can make with what you have on hand. For users of my favorite of these apps, Martin’s Index, there’s an added bonus. According to the author, the database is intended to be a living document with free updates that grow the app’s information over time. Plus, he plans to eventually expand the app’s reach into our favorite era, the 1950s and 60s. At this writing, Martin’s Index features over 1500 recipes! MixologyTech apps are just perfect for cocktail nerds and history buffs who like well-researched minutiae. And while they’re slightly expensive for iOS apps, they are completely worth the asking price for the information they contain and what they do. Go get ’em!